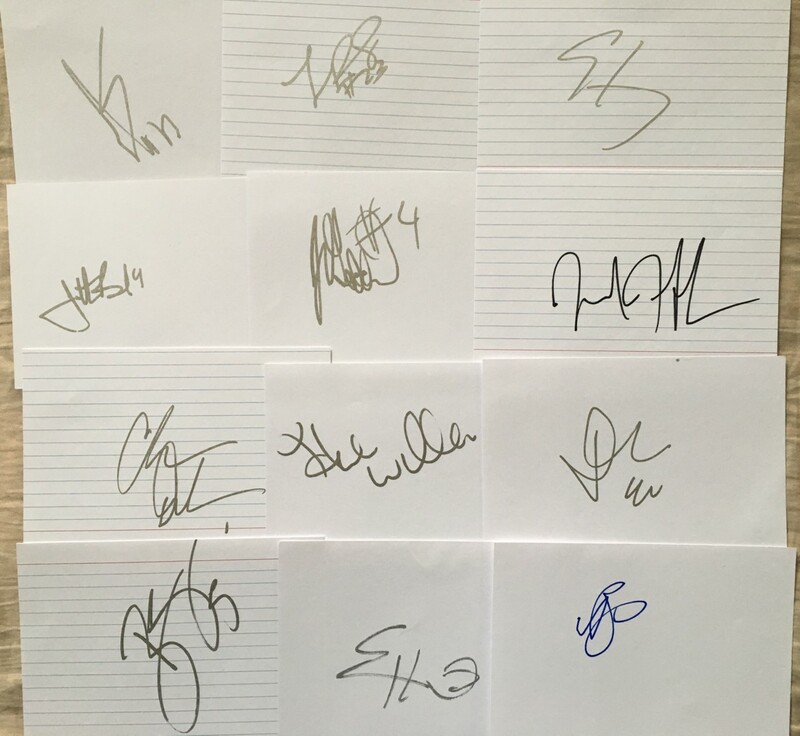 Lot of 12 different 4x6 index cards autographed in black, blue or silver by former NBA players Andrew Bogut, Jonathan Bender, Toney Douglas, Chris Duhon, J.R. Giddens, Al Harrington, Eddie House, Jared Jeffries, David Lee, Sergio Rodriguez, Bill (Henry) Walker and Herb Williams. 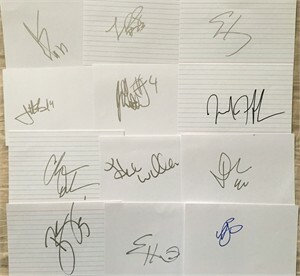 All were obtained in person. With certificate of authenticity from AutographsForSale.com. ONLY ONE LOT AVAILABLE FOR SALE.